This eleventh edition of the “Toyota Leadership Lessons” series about what I have learned through conversations with Isao Yoshino, marks the 4-year anniversary of when I met of Mr. Yoshino and the subsequent beginning of what has turned into an important friendship and professional partnership for us both. 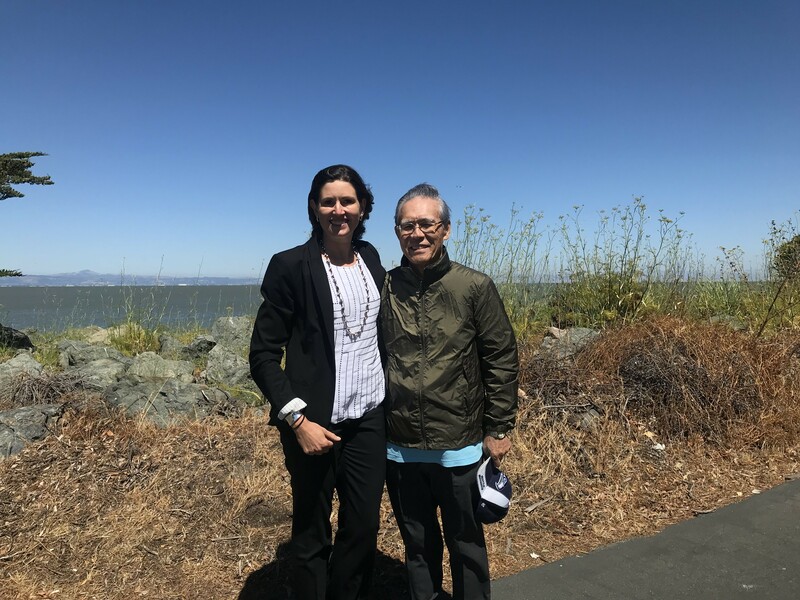 In today’s post I reflect on how our relationship has evolved over the past four years, and share more leadership insights that I have learned from talking with Mr. Yoshino over the past several months as we have embarked on a new collaborative partnership! 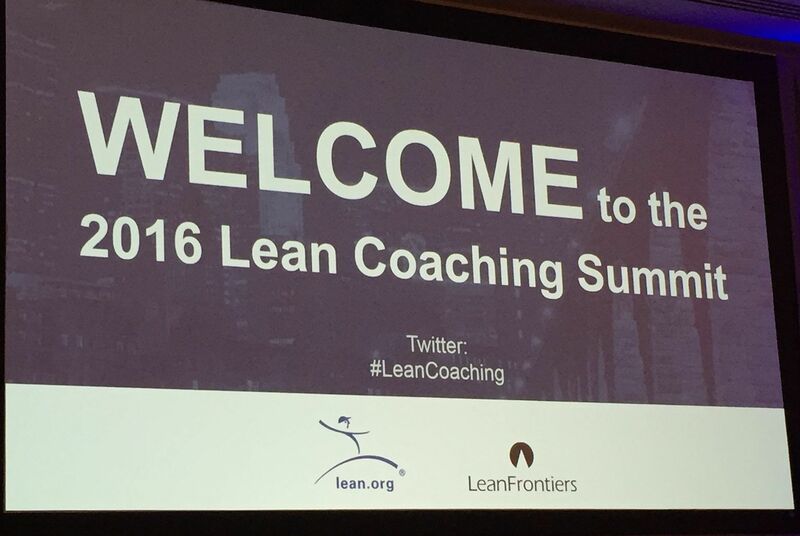 In July 2014, weeks after learning about the opportunity for our family to relocate to Tokyo for my husband’s job, I was at the Lean Coaching Summit in Long Beach. I had already reached out to John Shook to request some time together to talk about life in Japan, which he generously granted me – and subsequently made many introductions that were beneficial for me when we moved to Tokyo. It was serendipity that Isao Yoshino, John Shook’s first manager at Toyota in Japan and one of the models for the “Sanderson” character in his book Managing to Learn, happened to be passing through L.A. en route to Memphis. John asked him to come to the Coaching Summit and to join him on the stage. Following the Summit, while sitting in the lobby of the hotel, Mr. Yoshino gave me his card and told me to contact him when we moved to Tokyo. He invited me to visit him in Nagoya and offered to take me to Toyota City. Knowing that I had this amazing opportunity to learn from and spend time with John Shook’s mentor made me that much more excited about the opportunity for us to move to Japan. 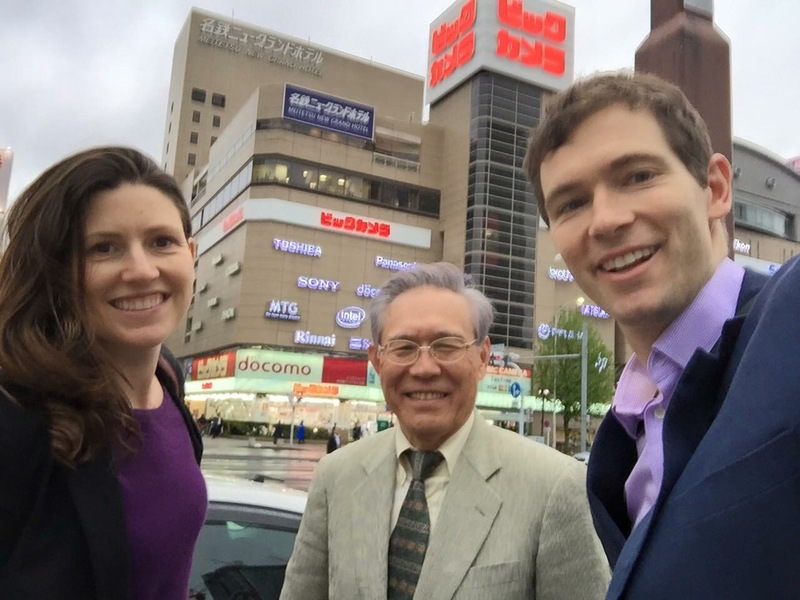 After settling into Tokyo with our then sub-1-year old and 3 1/2 year old, I reached out to Mr. Yoshino and arranged for a day in April for our visit to Nagoya and Toyota City. I encouraged my husband to take the day off of work to partake in this special experience. We jumped on the Shinkansen from Shinagawa Station and ventured for the first time on what would be come my regular “Yoshino commute”. You can read about our first visit with Mr. Yoshino and tour of the Toyota factory in Toyota City in this first installment of the “Toyota Leadership Lessons” series, and what became a regular event for me to go to Nagoya to spend the day with Mr. Yoshino over the remaining 14 months that I lived in Japan. If you don’t have a copy already, you can click here to get a PDF of the top 10 Toyota leadership lessons that Mr. Yoshino shared me in 2015 & 2016. Since my family moved back to California in June 2016, Mr. Yoshino and I have stayed in regular contact through visiting each other in Japan and the United States. It was an honor to host him at our house last month when he was in California before going to the Lean Coaching Summit (marking our 4-year anniversary of meeting). We have continued to expand our opportunities to collaborate including last year at the ELEC 2017 in the Netherlands, the Japan Study Trip that I led in May, at events in the U.S. just last month, and more events that we have scheduled for later this year and next, such as the European Lean Healthcare Transformation Summit in October and another Japan Lean Study Trip in May 2019 (see below for more details). This year, Mr. Yoshino and I have also embarked on an even more extensive partnership. Building of what started from this series of blog posts, we have decided to collaborate on a more extensive writing project to develop a book that pulls together the leadership lessons that he learned and taught over his 40+ year career at Toyota and subsequent experiences a teacher and lecturer, with practical tips and insights that are relevant for today. The book will most likely be a collection of stand-alone chapters each focused on a specific theme. We are just starting to explore different options for format and publishing. Stay tuned! One of our many (evenings for me) interview calls over the past months. I cant wait to share the story he is in the middle of telling me in this screenshot! 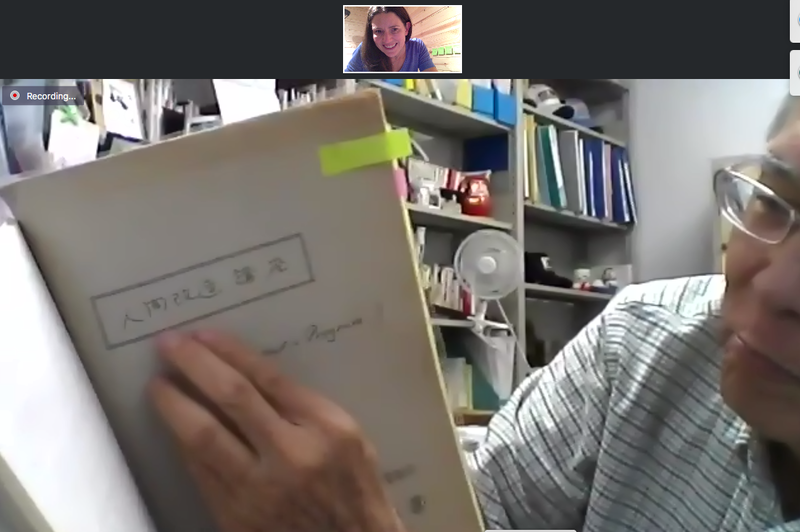 Since April, Mr. Yoshino and I have had regular video calls in which I have been interviewing him about his experiences at Toyota, starting in the mid-1960s when he joined the company. We have our 7th video interview installment scheduled for tomorrow night. I can’t wait as I always learn – and always laugh! It’s been such a fun experience for me to hear his stories – and to help him remember some events that he hadn’t thought about in decades. 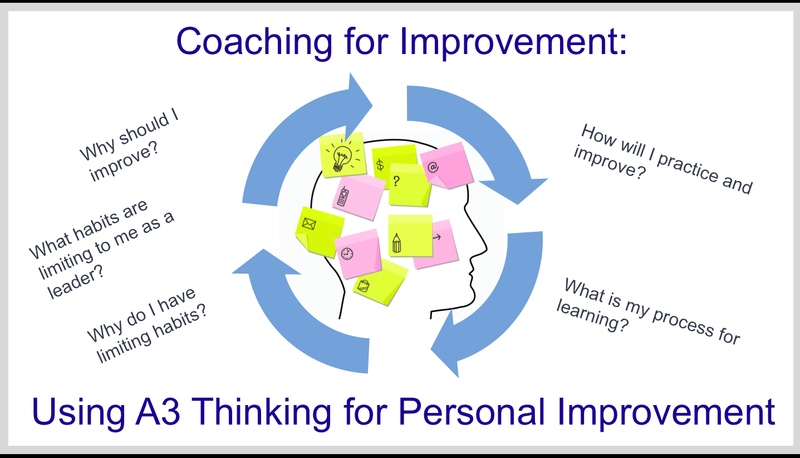 Some of the stories that he shared at the event we co-hosted for AME on July 16 and that he shared up on stage with John Shook at the Lean Coaching Summit a few weeks ago in Seattle were ones that he re-discovered through our interview process. Working on this writing collaboration has impacted my creative time and space for writing for this blog. however, I know that it will pay off for you all in the end! In the rest of today’s post, I want to share some of the quotes and comments shared by Mr. Yoshino with me that particularly stood out to me as I look back at my notes from our conversations in preparation for and during his recent visit to the United States in July. Over the course of many conversations, the importance of always learning has been a key theme that has emerged in through the stories and reflections Mr. Yoshino has had. Learning and subsequently developing other people to learn more deeply for themselves is core to Yoshino’s DNA. As Mr. Yoshino said to me one evening: “everything is my learning journey”. He encouraged me to, “Always try to learn something” (which is my goal!). This theme of learning from others is one that carries through all of our conversations. Yoshino believes that it is important to “take ideas and learn from others” and to “share experiences together”. During one of our conversations, Mr. Yoshino mentioned how much he valued our collaboration, in large part because of what we both learn from each other: “I can learn something from the questions you ask.” I feel completely the same way. I am incredibly grateful for the time we have spent together over the past four years and what I have been able to learn from our conversations, and I am appreciative that from the beginning that he granted permission for me to subsequently share what I learned with you through this blog – and now the book and seminars! The learning partnerships between people are more than the sum of each individual’s knowledge. This is evident in how he engages in all of his relationships from those with bosses, subordinates, or students. You never know what you will learn from the people in your network. One evening we were talking about Mr. Yoshino’s experience with someone earlier in his career at Toyota that he considered a “bad boss”. In contrast to a “bad boss” who believes that he (or she) is smarter that everyone or has all the answers, a good boss is one who supports, develops, and encourages his direct reports. In contrast to some of these bad bosses, Yoshino has always seen his role to be one to help others improve and to develop themselves. This echoes back to the very first words I recall hearing from Mr. Yoshino four years ago up on the stage at the Lean Coaching Summit in Long Beach (see above). John Shook highlighted what this leadership role and the relationship between boss and “subordinate” (as direct reports are called at Toyota in Japan) in Managing to Learn. One comment that Mr. Yoshino made to me a few weeks ago was to “make the invisible visible”. I see the book venture that we are undertaking, as well as writing these blogs, as one method in which we can help make visible many of the leadership principles practiced at Toyota – and relevant to any leader wanting to create a learning organization – and the stories that not many people have widely heard before. He went on to elaborate in our conversation that: “The way I think is invisible” and “All the potential we have is not visible”. What he learned at Toyota was that it is important to “start to make your thinking visible”. 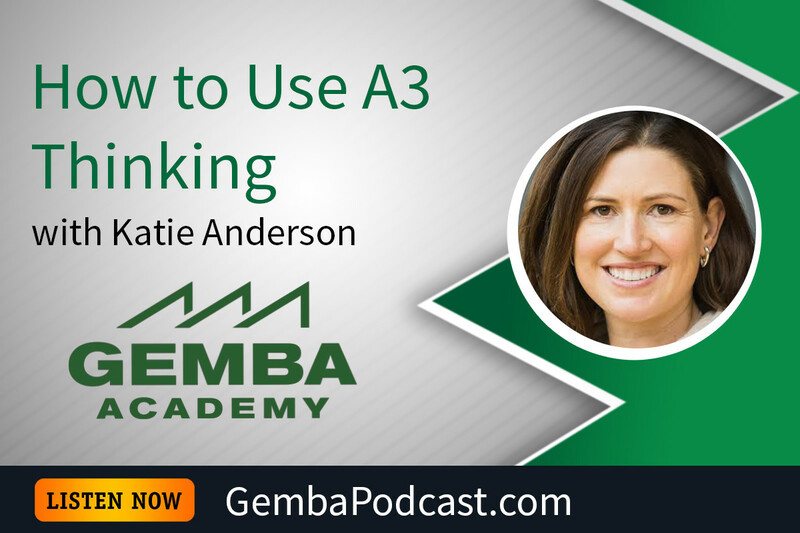 Many of the tools and artifacts of the Toyota Production System (“TPS”) that we have come to associate as synonymous with lean thinking practice such as “A3” and visibility boards are merely means to help make thinking visible. However, as Yoshino cautioned, “the tool is visible” but and can be copied easily, but the invisible thinking behind it is more challenging to understand. And remember, “a format is just a format” – don’t get hung up on it! (Many people at our seminar for AME were surprised to learn that Mr. Yoshino had never seen an x-matrix at Toyota and that there was not a set A3 template). Sometimes I feel like I’m spending time with Yoda when Mr. Yoshino espouses some profound words of wisdom. I will leave you today with two statements that he made while visiting me in California a few weeks ago. Come join me and Mr. Yoshino at several different opportunities in Europe in October – or learn about lean from the source with us in Japan in May 2019! Join us in Amsterdam October 8-10 at the European Lean Healthcare Summit in the Netherlands. Mr. Yoshino and I are co-leading a breakout session about asking coaching questions as a fundamental leadership skill. I’m also teaching a pre-summit workshop and Mr. Yoshino is keynoting the second day of the Summit. Click here to learn more about the event and to register. Following the Healthcare Summit, we will be together in Nijmegen with the HAN University for a special conference on Thursday October 11, 2018. Details for the HAN event and 1-day workshop that I’m leading on Friday October 12 will be available soon. Join us in Japan! I will be leading an open-enrollment Japan Lean Study Trip the week of May 13-17, 2019, with Mr. Yoshino joining the group for much of the week. Participants of the 2018 trip said that spending time talking with Mr. Yoshino on the bus, at meals, and on site visits was a highlight of their experience. More details will be available soon! Contact me directly if you are interested in being the first to learn about trip details and enrollment. 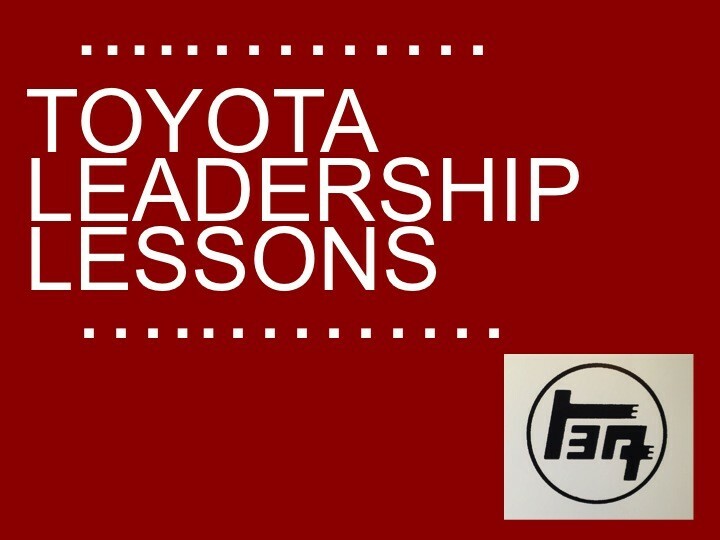 Remember, if you don’t have a copy already, you can click here to get a PDF of the top 10 Toyota leadership lessons that Mr. Yoshino shared me in 2015 & 2016. I have plenty of new lessons (including the ones above) to put together in a second edition (coming soon)! Mr. Yoshino and I would both value your comments and reflections, as well as your thoughts on the book that we are undertaking. What do you think about Mr. Yoshino’s comments shared in this post? What do you want to know more about from Mr. Yoshino? 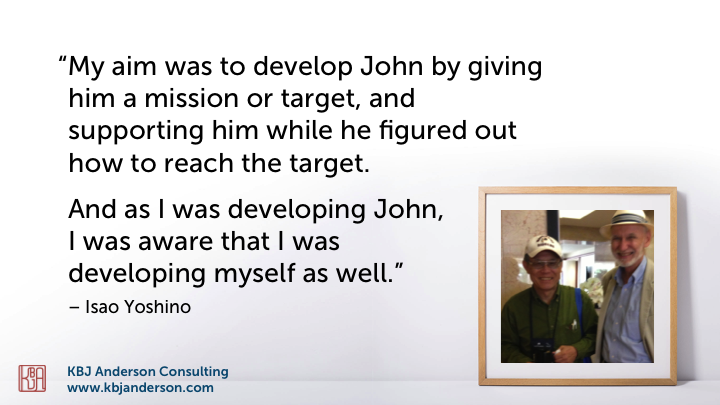 What stories and insights have struck you most from what I have shared in the “Toyota Leadership Lessons” blog series, or that you have learned directly from Mr. Yoshino? What comments or suggestions do you have about undertaking a book writing venture? Sign up below to be the first to know whenever I publish new content. If you are are already a subscriber, thank you!